At 8:15 a.m. on Tuesday morning, Travis DeCuire encountered a rejuvenated, focused version of his previously worn out team. A year ago this month, Montana built a 10-0 lead in the first round of the NCAA Tournament against eventual national runner-up Michigan. The Grizzlies looked like the Wolverines’ athletic peers for most of the first half, only to endure a 10-minute shooting absence in a 61-47 loss to the Wolverines. 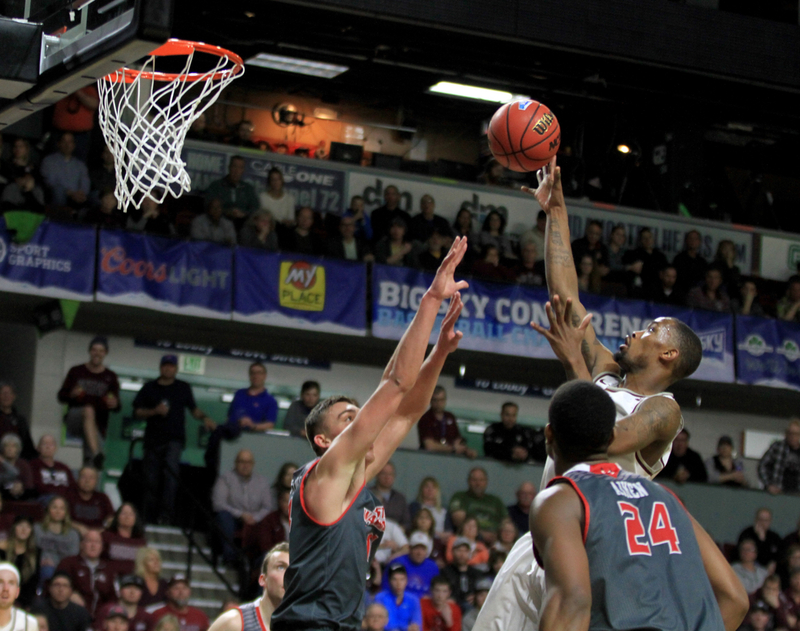 From the day after that loss until Montana cut down the nets at CenturyLink Arena in Boise, Idaho last weekend, the Grizzlies have endured as much pressure as any mid-major team in the country. The Big Sky Conference has always been and continues to be a one-bid league. So even though UM returned the core of its rotation, including four standout seniors led by the peerless backcourt of Ahmaad Rorie and Michael Oguine, the most recent season proved to be trying and tumultuous. 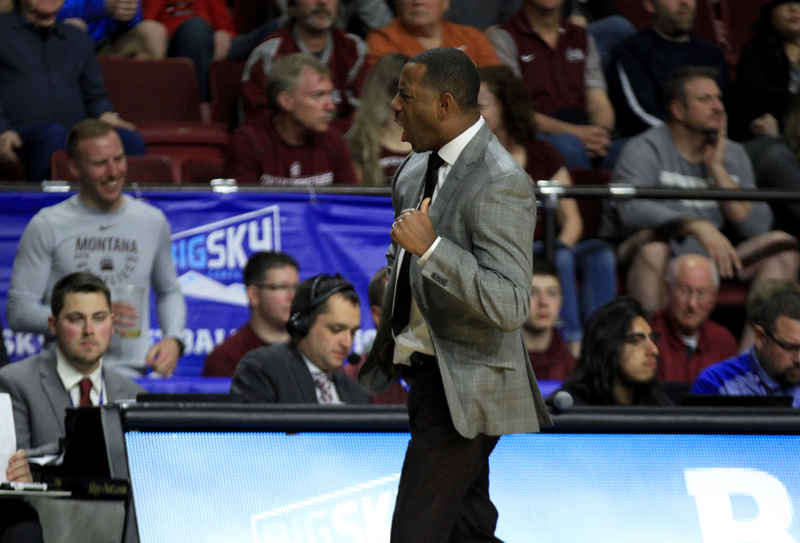 Montana was the overwhelming favorite to win the Big Sky regular-season. Despite a few surprising missteps — two straight losses early in the conference season, the first to Portland State in overtime, the second at Eastern Washington — UM still managed to hang a second consecutive Big Sky regular-season banner, the 11th in school history. 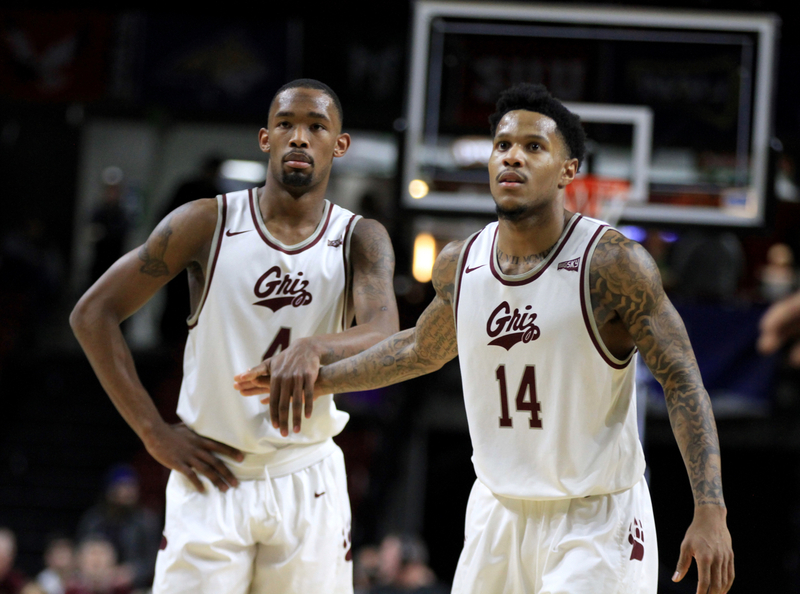 The Griz survived Marcus Graves’ best punch in a 79-73 win over Sac State in the quarterfinals of last week’s Big Sky Tournament. UM eviscerated Weber State on both sides of the court in what DeCuire, UM’s fifth-year head coach, called the best defensive performance in his tenure on the way to a 78-49 victory. 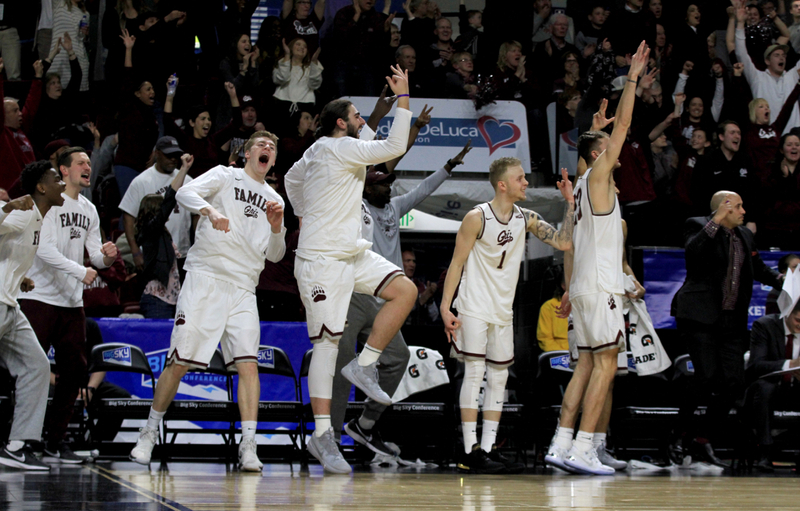 And Montana rallied for a 68-62 win over Eastern Washington to beat the Eagles in the BSC Tournament championship and advance to the NCAA Tournament for the second straight year. Even though everyone associated with the Big Sky expected the Grizzlies to be in this position, UM still had to celebrate in enduring the most trying year of DeCuire’s tenure while simultaneously breathing a collective sigh of relief. “It’s been more calm the last 12 hours,” DeCuire said in his NCAA-sanctioned press conference on Wednesday from Wells Fargo Arena in Iowa’s capital. “From a one-bid league, you are going to celebrate. You could go 10 years in a row. That Saturday night, you are going to celebrate like it’s the first championship you’ve ever won in your life. And that’s what our guys did. They enjoyed the moment. After the EWU win, UM boarded a 45-minute charter flight directly from Idaho’s capital city to Missoula, enjoying the moment during the ride. On Selection Sunday, a sizeable crowd came to the Press Box Bar & Grill in Missoula to support the Grizzlies. Despite the repeat first-round matchup with Michigan and the tough seeding — UM is a No. 15 and Michigan is a No. 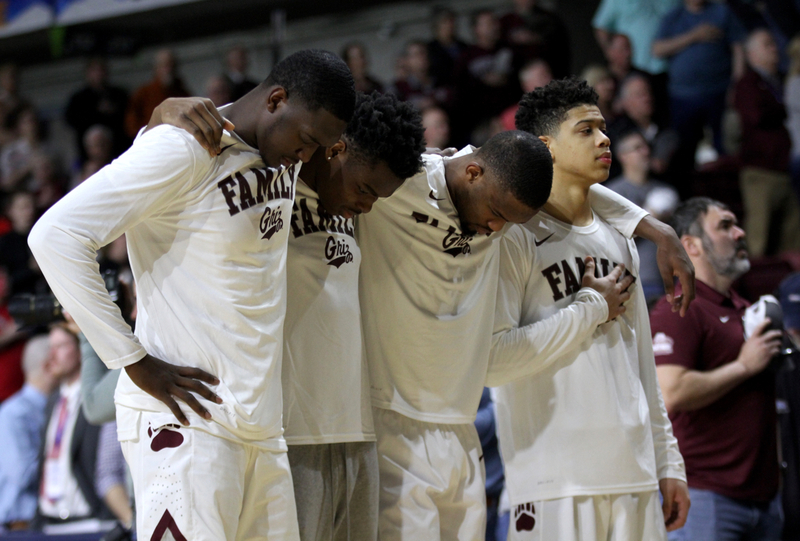 2 — these Griz still want to relish their accomplishments, even if its only until tip with the Wolverines at 7:27 p.m. MST Thursday night from Des Moines, Iowa. “We pretty much know there are going to be upsets every year so why not us?”UM senior forward Bobby Moorehead said. 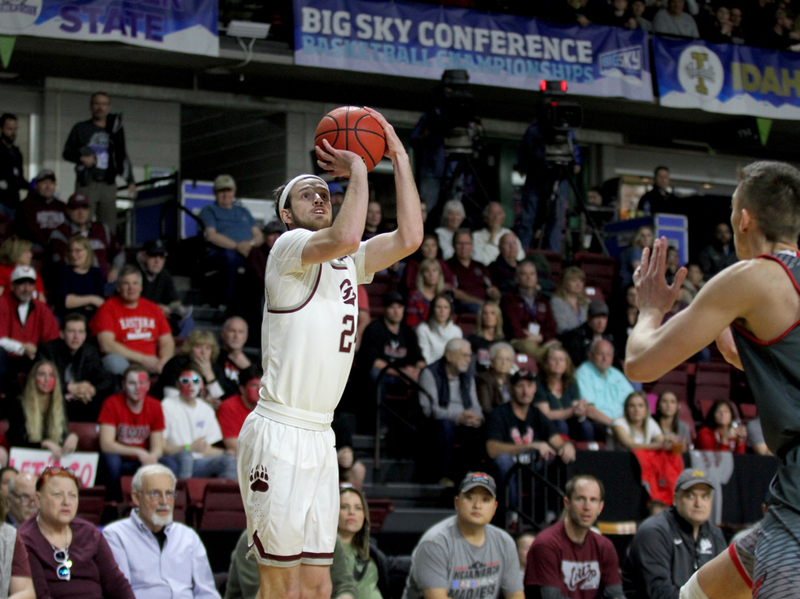 The Big Sky Conference has the longest drought of any of the 32 Division I men’s basketball league in the country when it comes to NCAA Tournament victories. The last time the league earned a win in the Big Dance came in 2006 when the 12th-seeded Grizzlies knocked off fifth-seeded Nevada. 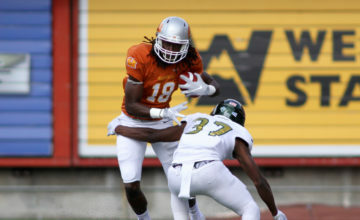 Because of the stellar, consistent career of Oguine, the selfless transformation of Moorehead, the sacrifice of transfers like Rorie (Oregon), Donaven Dorsey (Washington), Kendal Manuel (Oregon State) and injured center Jamar Akoh (Cal State-Fullerton) and the role acceptance of high-level recruits like junior slasher Sayeed Pridgett, this Montana team entered the season with aspirations of breaking the streak. UM lost a few pivotal non-conference contests, namely getting beat thoroughly at Creighton and Arizona in its two “money” games and looking offensively anemic in a loss at UC Irvine, who enters this tournament as a No. 13 seed. A 7-4 non-conference mark meant Montana would likely have to lose two or less of its 20 league games to earn a seed higher than last season’s No. 14. When the Grizzlies stumbled in Cheney for the second year in a row, a quest for a title became much more of a focus than a quest for a seed. Regardless of the draw — Skyline Sports found the last time two teams faced off in the first round of the NCAA Tournament in consecutive years came in 2008 and 2009 when BYU and Texas A&M played in the 8-9 matchup — the Griz are trying to emerge from a season filled with pressure to reassume the role as underdog. During what could be his final press conference talking about this group of record-setting seniors, DeCuire’s second-to-last inquirer asked him to analyze the careers of Rorie, Oguine, Moorehead and Akoh in relation to the rest of the roster. After choking down a hint of emotion, DeCuire did not hold back. “I’m proud of my guys,” DeCuire said. 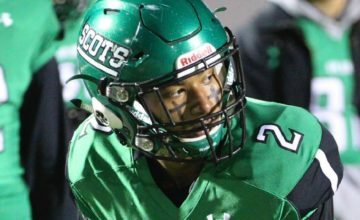 “Ahmaad Rorie, you are talking about a Top 50 recruit in the country that is playing for a program that is in a one-bid league. Transfers down to the Pac 12, been on a No. 1 nationally-ranked team in the country. “He has a lot of reasons to throw up 20 shots a game like a lot of guards we played against this year. He’s taken a back seat not to anyone but to the moment to benefit our program, to give us an opportunity to sit here in front of you right now. I’m proud of him for that because it’s hard to do. When you dream of playing in the NBA and playing for money, sometimes, your stats and accolades are important. A lot of times, those things are worth dollar signs. And he put those in the back seat to get here to win a championship. “Sayeed Pridgett, for two years, he’s wanted to be the guy, he’s wanted to get shots, he’s wanted the ball in his hands, he’s wanted to start. But he’s waited his turn. “Michael Oguine had the best freshman year in the history of Montana basketball and going into his sophomore year, everyone had big expectations for him to maybe be the best player to ever put on the jersey at Montana. But here comes Ahmaad Rorie, here comes Sayeed Pridgett, he’s got to share, here comes Jamar Akoh. So we have guys on the floor who can also score on par with him so he goes to expecting to score 25 a game himself to 12, 13. But he’s had 30-point games. They’ve all had 30 point games. But none of them average 20. 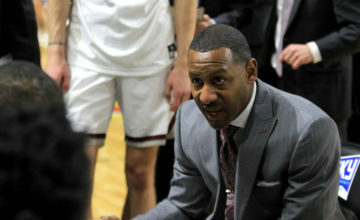 Over the last two seasons, Montana posted 26 wins each campaign, tied for the single-season UM wins record with the 1993 Grizzlies, a squad that featured a savvy point guard named Travis DeCuire.. The 52 wins mark the best stretch in school history. Now this special group hopes to solidify their names in Grizzly lore with one more victory against one of the titans of this tournament.